Alchemy and potions have always been a big part of the Witcher experience and this is continued in the Wild Hunt. Potions have both positive and negative effects which players need to carefully balance whilst monitoring their Toxicity level. 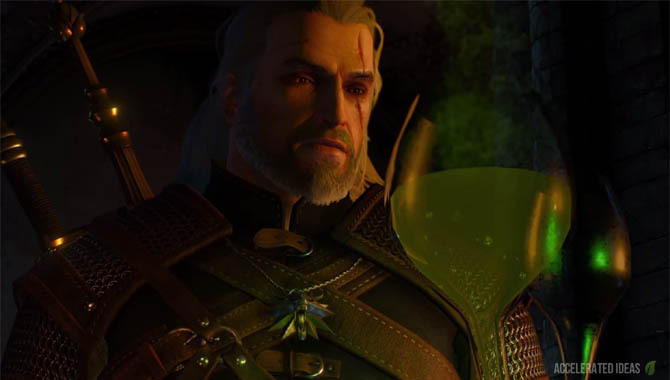 The initial creation of a potion now requires Alcohol as it did in the first Witcher game. A potion may also require other components and of course ingredients as well. You'll find that in the Witcher 3 potions require far more ingredients than they did in earlier games. A good example is the Swallow potion which requires 5 x Flowers and 4 x Drowner Brains. However, once you've made a potion you will end up with several doses, allowing you to reuse it to a certain extent. Depending on your platform you can also hotkey the potion for ease of use during combat. How to craft potions, oils and bombs? Any ingredients in red signify that you don't have enough of that resource, whilst green items mean you do have enough. Unless you have all the required ingredients you will not be able to craft the item. Ingredients are found throughout the Witcher 3, including some found in the wilderness such as plants and flowers, whilst others must be bought from merchants and others picked up from dead enemies. Even when you've used up your potion the actual bottle remains intact. This is a subtle hint that you can actually refill your potion during the game without having to find all the ingredients again. The simple way to refill a potion is to Meditate, which is an option from the in-game menu (far right). Meditating is like the Witcher's version of sleeping, which automatically progresses time by the value you choose. There is just one prerequisite to automatically refilling your potion though and that's plenty of Alcohol! Alcohol is one of the main ingredients for crafting new Alchemy items and it's also used to refill empty Alchemy items when you meditate. So where do you find it? 1. Make it yourself - just mix herbs and water together in Alchemy. 2. Loot - throughout the Witcher world there are many looting opportunities where you can find Alcohol for free (crates, dead enemies etc.). 3. Buy from shops or taverns - as long as you have enough crowns then you can buy Alcohol from merchants. Toxicity level (or Poison level) is an important mechanic in the Witcher series and this is upheld in the Witcher 3. The slender green bar (shown just below the health bar) shows your current Toxicity level or Poison level. Toxicity level decreases on its own accord and the speed at which it does depends on various potions and the abilities you have equipped. With all these lovely potions on offer you may be tempted to drink as many as you can in an attempt to supercharge your characters stats. But beware of your Toxicity level because drinking more potions will intoxicate you further and eventually this leads to death. Even healing potions can do little against a highly intoxicated Geralt! If you're keen on using potions regularly then consider unlocking some of the abilities to increase your overall Toxicity threshold and others to speed up the recovery process. For those who don't know, Oils are something that you apply to your weapons to increase their damage. However, the damage is only increased against specific enemy types for which the oil is aimed at. For example an oil which is meant to harm werewolves will not work against ghosts. Like potions, oils can be upgraded for a higher damage boost. There are no specific skills or special builds required for this bonus, you only need the right crafting recipe and ingredients. The way oils actually work in the game has been changed slightly. Unlike in the Witcher 2, oils don't have a timer in the Witcher 3 but instead they wear off through weapon use, similar to weapons degrading over time as they're used. As you might expect, Bombs are projectiles that you throw at enemies to damage, stun or poison them. Similar to consumables there are only two slots in your inventory for bombs to use in active combat. In the beginning you can only carry three bombs of a certain type, but with certain skills you can increase this to eight bombs for each type - giving you the chance to carry up to 16 bombs at once. There are two ways to use bombs: a quick release where Geralt throws the bomb at the monster you are aiming at; a second method where you hold down the button/key and time slows down, allowing you to aim bombs more precisely (similar to the Witcher 2). These are a new type of potion in the Witcher 3. They're more powerful and last for a much longer duration (30 minutes) compared to normal potions. The major downside is that they immediately cause 100% toxicity forcing you to take things easy while you wait for toxicity to reduce. Decoctions also require more than the basic crafting ingredients. Players must have a spare Mutagen in order to craft them and you won't be able to refill a Decoctions like you can a normal potion. Grave Hag - every enemy kill accelerates vitality regeneration. Toxicity 100%. Duration: 30 mins. Arch Gryphon - strong attack consumes entire endurance bar, but after dealing normal damage enemy health points are reduced by 10%. Requires endurance above 0. Toxicity +100%. Duration 30 mins. Water hag - increases damage dealt when you vitality is at max (100%). Toxicity +100%. Duration 30 mins. Like other features in the game, potions can be upgraded to increase their power and the number of uses. These upgrades are not dependant on any special skills or builds, instead you need the right recipe which can be bought or rewarded in the game. Players should note that like weapons and armour, potions also have level requirements, forcing you to level up before you can use them. 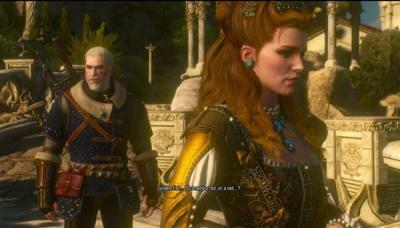 A good example is the enhanced Swallow potion which requires Geralt to be level 20. In the Alchemy menu you can create different types of Oils, Potions and Bombs. A good example of an oil is Specter Oil which can be applied to your sword weapon for additional effects in combat e.g. attack power vs Specters +10%. Here is the complete list of Alchemy items which I'll update as I progress through the game. Grapeshot - inflicts shrapnel damage to foes and also a small amount of fire damage. Can be used to destroy monster nests. Samum - blinds opponents within its explosion radius. Destroys monster nests. Necrophage oil (blue/green colour) - can be applied to swords to increase power vs Necrphages. Specter oil (red colour) - can be applied to swords to increase power vs Specters. Requires Bear Fat and White Flower. Cat (green jar) - grants sight in total darkness for 4 minutes. Swallow (orange/red flask) - increases Vitality regeneration for 20 seconds. Tawny Owl (purple jar) - accelerates stamina regeneration. White Honey (white jar) - resets your Toxicity level and cancels all active potion effects.